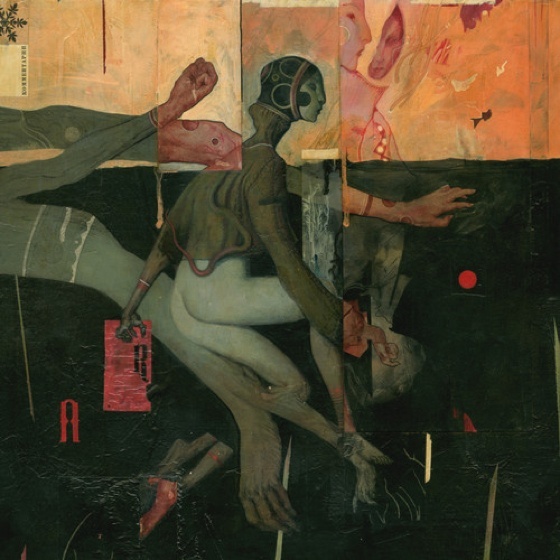 Oakland-based musician William Ryan Fritch is set to release his latest album Revisionist next month, and he's shared a new track called "Infant Sight" to whet your appetite. Fritch is not your typical composer. First of all, he was unfamiliar with reading music until very recently. But moreover, he doesn't like to get stuck with the "ambient, minimalist, and modern classical" labels he's so often given. In fact, he deems himself "clueless" when it comes to "electro-acoustic shtick." As a press release puts it: "If you sat Fritch in a room with just a pen and music staff paper, he may not be able to create anything worth a damn, but if you gave him a room of trash and a tape recorder, he could make it all sing together." This mentality permeates Revisionist, which was crafted with musical contributions from Benoit Pioulard, D.M. Stith, Origamibiro and Esme Patterson. As for "Infant Sight," the track is Fritch's most personal on the album. "Amidst an album that is all about our reliance on selective memory and the recontextualizing of cold reality to cull our personal and collective narratives, this song is the only one that takes a personal perspective on the weight and exhaustion of feeding this delusion," he says. "'Infant Sight' is my meek extemporization on having to reprocess and shut off certain sensitivities to manage ourselves in this super-imposed human world that is oppressively fast, disingenuous and complicated," he continues, eventually posing the question: "Could we truly experience the world again with nascent senses?" It's a lot to think about as you listen. Revisionist arrives on February 10 through Lost Tribe Sound, but for now, you can hear "Infant Sight" below.